The Broyhill Faversham 11 Hybrid mattress uses industry leading mattress technology to achieve a simple goal, offer high quality, ergonomic support while maintaining a cool and comfortable sleeping experience. For its base, the Faversham uses a high-density support foam layer to provide lasting durability and support for years to come. Coupled with the high-density support foam is an 8 Natural Spring Support system using many individually, fabric wrapped spiral steel springs. These springs yield and flex to offer a smooth and natural ergonomic sleeping experience. 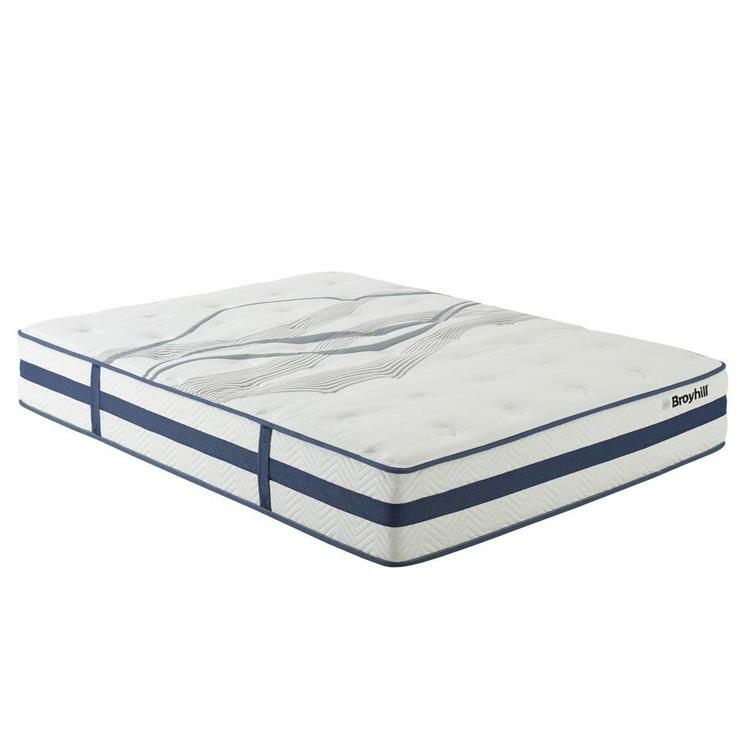 The independent spring design of the Faversham mattress helps to absorb and isolate motion transfer to and from your partner for an undisturbed night of rest. 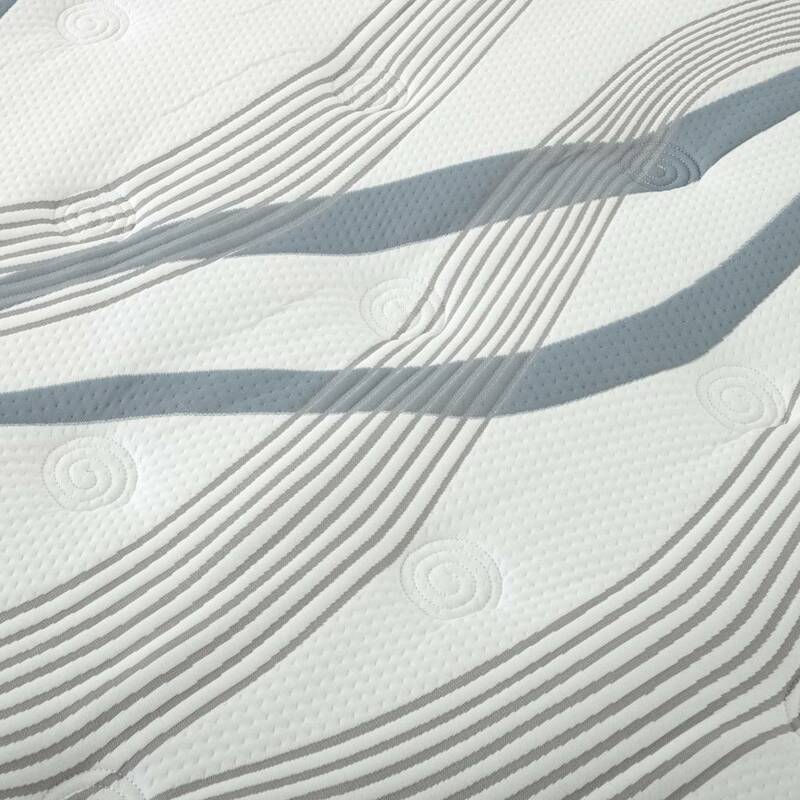 Edge Plus Perimeter edge support encases the entire perimeter of the mattress to not only offer a no edge-sag sleep experience but also increase the usable sleep surface by nearly 20%. A 1" MicroTec Gel foam layer offers the benefits of traditional memory foam but adds additional targeted support and the ability to sleep cooler. 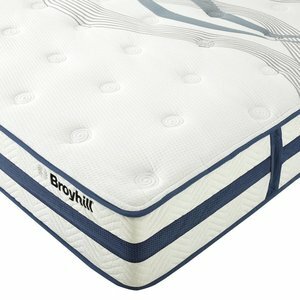 The Faversham is covered by a 1" plush quilted cover which offers premium comfort and extra support. Rest easy knowing that the Broyhill Faversham has been voluntarily laboratory tested to ensure that its CertiPUR-US certified memory foams surpass the highest criteria for standards and safety standards. Mattress is platform and adjustable base friendly. Foundation sold separately.